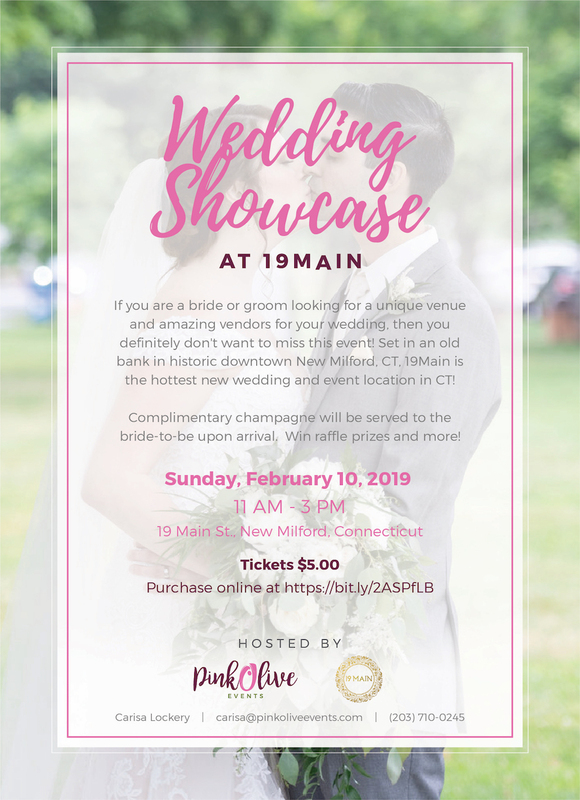 There's just 3 weeks until the Wedding Showcase at 19Main! Have you been to other bridal shows this season where you feel overwhelmed? It's loud, you can't talk to the vendors you want to talk to, and you feel like you're being herded around the venue like cattle? Good. Because this show promises to be NOTHING like that! Pink Olive Events hosts more intimate show so that you can focus on speaking to the vendors you're there to meet. We keep the vendors to around 30, and maximize the categories to just 3 each. This way, you get to spend more one on one time to discuss your wedding with them. Be sure to join us on February 10, 2019. Come early because the first 50 brides get a FREE swag bag! Raffles, food and dessert samples, and more! Our radio ads on KC101 begin on Monday January 28th. Text us the time and date if you hear the ad and get 2 FREE tickets to the show!